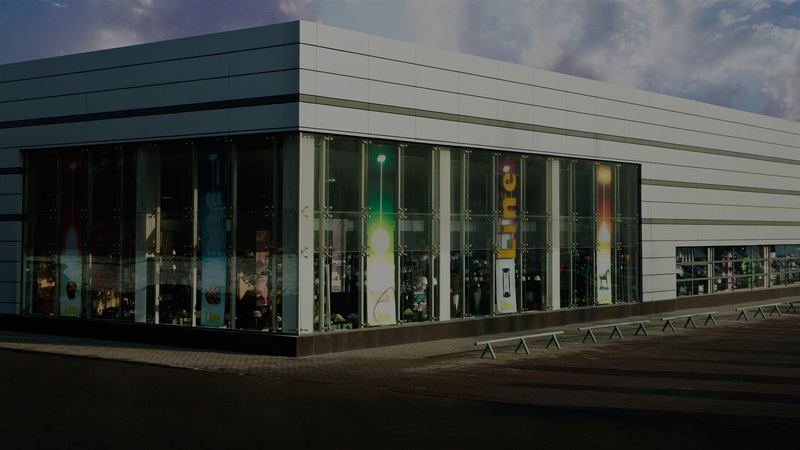 The Line Company was the first in the region to begin importing the best European lighting equipment. We are leading in this field for more than 20 years. Within that time a wide distribution network has been formed and a company private design firm has gathered the pace. In Kazakhstan we represent more than three dozen high-quality trademarks, including world-known brands Philips, Mantra, Masiero, Artemide, Kolarz and Leds-C4. Our company is above and beyond the competition in the lighting market, as long as its substantial advantage is the most well-developed retail network in the country. Four of our seven salons work in Almaty, two others in Astana and one in Karaganda. Experienced and creative lighting engineers, who develop and bring to life projects of any complexity or work for Line. We calculate, create a design, deal with the delivery and installation of lightings for bridges, roads, cottages and flats, offices, hotels and exhibition centres, as well as landscape lighting. We have already brought to life dozens of unique projects, including the lightings of Saryarka bridge in Astana and the multifunctional complex Villa Boutiques & Restaurants.